Life in Rovinj has always been inextricably linked to the sea. The town’s centuries-old fishing tradition has been preserved until today, as the harmony between the citizens living in the old town and the coastal Adriatic landscape became symbolized by the batana. The batana is a wooden flatboat of 4-6 meters in length and the commonest type of vessel in Rovinj. 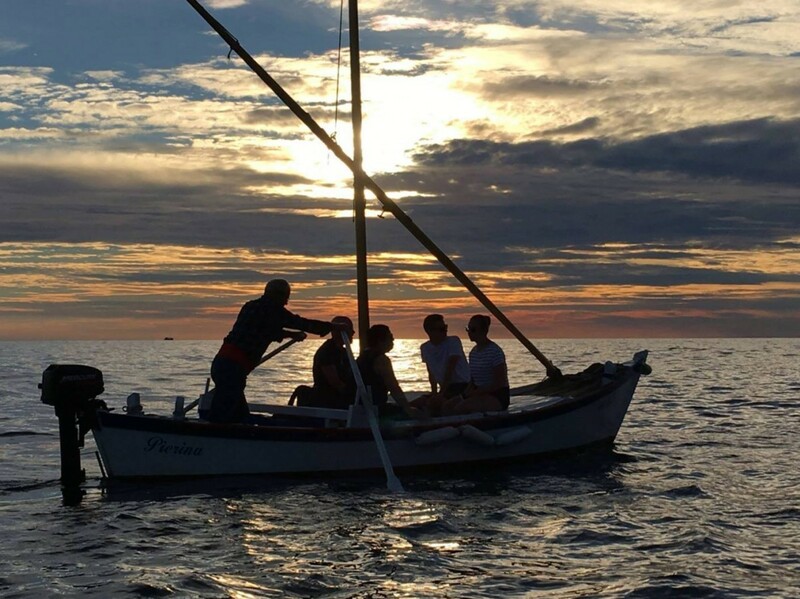 This boat is regarded as a tangible embodiment of the customs, traditions, language, habits, mentality and spiritual atmosphere of Rovinj and its citizens. During the summer months, visitors to Rovinj, as well as local residents, can witness the construction of the batana taking place in the town centre, on the plateau in front of the Batana House Eco Museum. There, a Rovinj kalafat (ship builder) builds a batana in the evening, and later in the summer you can also witness the boat’s launch. Moreover, several times a week visitors can enjoy a boat ride in a batana as a part of the “Batana with Fishing Light Parade and a Dinner at the Spacio” event. The parade begins with a visit to the Batana House Eco Museum, followed by a ride in a batana around the old town. 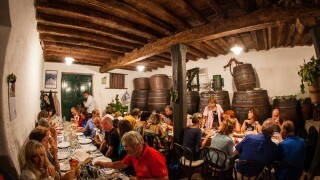 The event ends with a dinner and a performance of bitinada songs at a traditional Rovinj tavern – Spacio Matika. 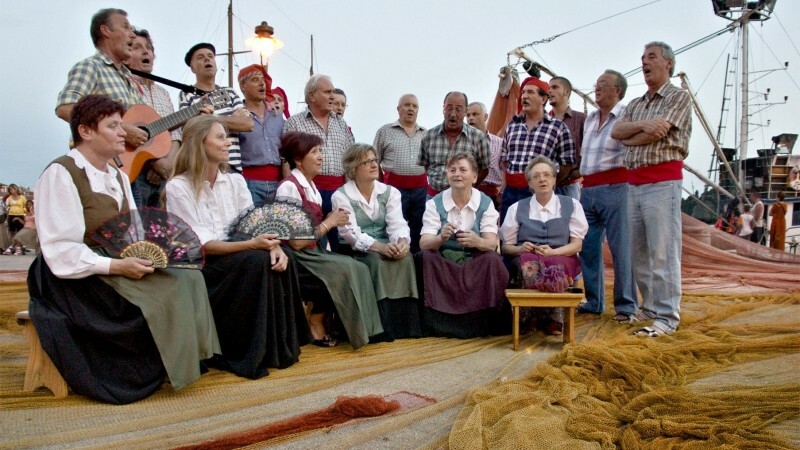 The tradition of building batana boats is inseparable from the musical tradition of Rovinj, namely bitinada songs, Rovinj folk songs representing an authentic musical expression. 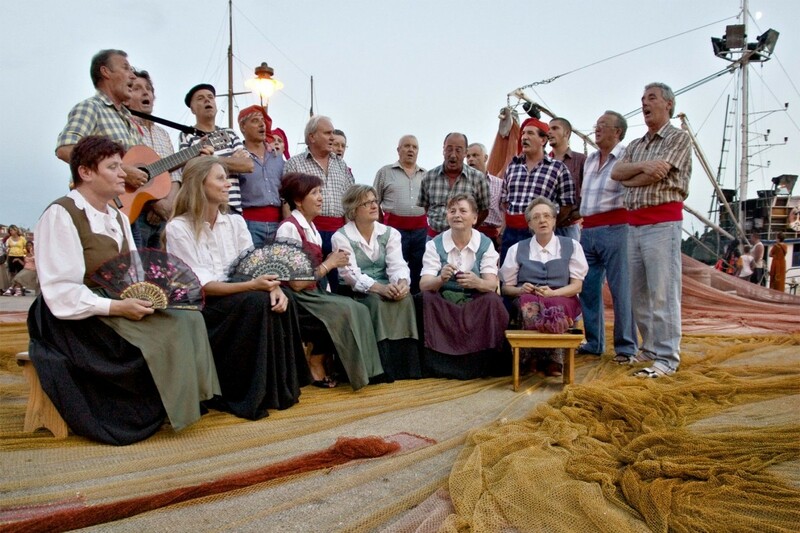 According to tradition, bitinada songs came to be as Rovinj fishermen, whose hands were occupied for hours while fishing on boats or repairing nets, thought of a way to achieve top-quality orchestral performances using their own voices instead of instruments. This is an original way of accompanying the lead singer which involves imitating musical instruments used in any song the lead singer wishes to perform. When a soloist (or soloists performing as a duo) starts singing a song, the bitinadùrs (that is how fifteen or more members forming the group are called) use all their skills to imitate the sounds of instruments in a hypothetical orchestra. Usually, each performance is unique because it is improvised. The Batana House Eco Museum, devoted to the wooden boat, is listed in UNESCO's Register of the world’s best practices for the safeguarding of intangible cultural heritage.